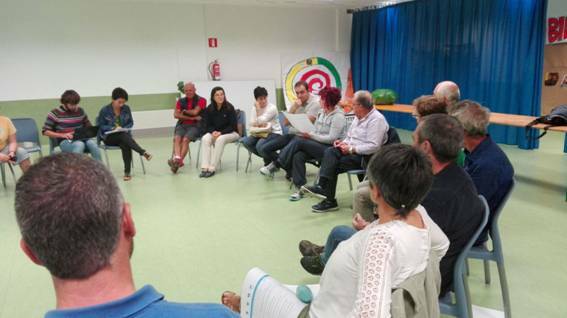 The school of Zamudio held on January 18th the third citizen discussion group regarding the Waste4Think Project, which worked on the design of the PAYT system. The cost of collection and transport of waste in Zamudio was 339,520.98 euros in the year 2016, whereas the cost of the treating of this waste amounted to 220,000 euros. The first of these two items is basically a fixed cost, but the one regarding treating may be reduced through a correct waste sorting, due to the fact that each kind of waste has a different treating cost (the cost of treating one tonne of rest-fraction is 92.36 euros, whereas treating the same quantity of organic waste costs 52.48 euros; paper, glass, tins and packagings have a zero cost, and oil has a minimum cost). 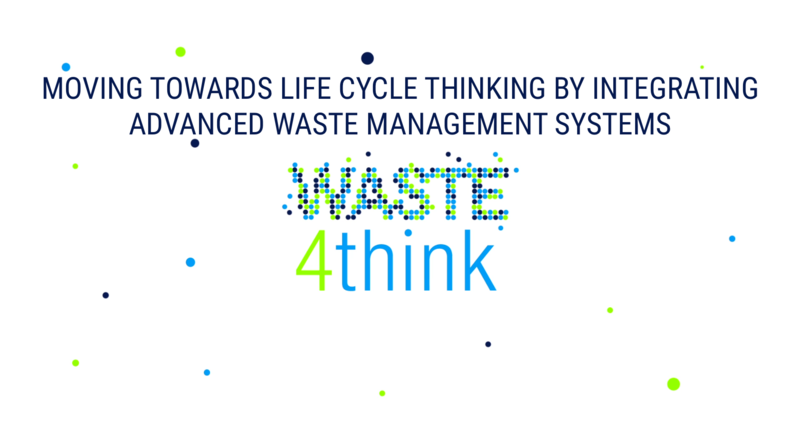 For this reason, in the context of the Waste4Think project, there is a plan to redesign urban taxes and to transfer the savings allowed by a correct sorting to the citizens that show an implication. This design was the subject of discussion in the third citizen participation workgroup that was held in the school of Zamudio on January 18th, regarding the different activities of the European project. This way of calculating taxes is known as Pay as You Throw (PAYT), and it rewards people generating few waste and those who recycle the most. In Zamudio, the goal will be to reduce the amount of waste that is disposed of in the rest-fraction bin and to encourage the use of other bins, specially the one aimed at organic waste. In order to reach this goal, the number of openings of different waste bins will be monitored. The workgroup discussed the number of openings of each kind of bin that the general waste tax should include, as well as what the cost of additional openings should be. Another discussion issue was the conditions under which the use of certain bins (for instance, the one for organic waste) may lead to reductions in the waste tax. The calculation methods in use estimate that those who make a correct sorting may save as much as a 40% in their waste tax. On the other hand, those generating a big amount of waste, without the due sorting, may pay even more than twice the price of the current tax. The group delved further into the issues that were outlined in the previous workshop, on October 25th. One of the concerns was the need to form and inform citizens, in order to sort their questions and hesitations about recycling. Another issue that was addressed was the need to design specific solutions for disposable nappies and sanitary towels. This entry was posted in events, news, Zamudio. Bookmark the permalink.